If you want to get into the best shape of your life you can do so with an Eden Prairie personal trainer. They can give you the self discipline that you need to meet your fitness goals. They can also assist you through fitness boot camps if that is the way that you think that you would have the best chance for success. A fitness boot camp is a very motivational way to get you to lose weight. You are encouraged and motivated by your peers and your personal trainer. In this type of situation your personal trainer acts as your sergeant and they are there to push you to your limits and get results. If you feel that you really need self discipline this is one way to get it in abundance. A boot camp can also give you the self confidence you need to continue on your own or one on one with your Eden Prairie personal trainer. A boot camp is results oriented and it is taken very seriously. They help you burn calories and work your entire body in a way that gives you maximum results. Boot camp is for people who are serious about losing weight and getting into shape. You are working out continuously without any chance for breaks in between. If you need a jump start then this may be the perfect way to get that boost and be on the right road. If you prefer to try another regime then your Eden Prairie personal trainer can work you out using a boxing routine that will whip you into shape. Boxing is a total body work out. It has both strength training and cardio training. This will help you with endurance and you can see results quickly. You can do all sorts of things for cardio and it is best to ask your personal trainer what works best for your personal fitness plan. You can run, cycle and jump rope as your cardio. One of the best parts of a boxing plan is you get to work your frustrations out hitting a bag or even sparring with your personal trainer. Boxing is a fun way to make the most of your personal trainer and have fun while working out. Your personal trainer may choose to break it up a little and have you do boxing one day and then cardio the next, followed by weight training. They will know what the best fitness plan is for you and help you work through it with success. If you want to get the body that you have always desired, you can with the help of an Eden Prairie personal trainer. 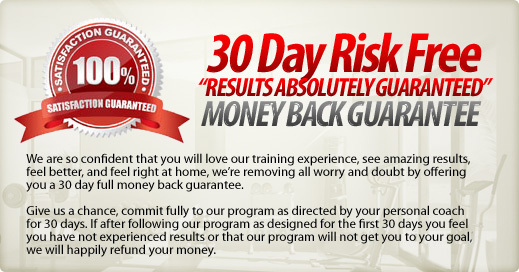 They have the training that is required to get you into the best shape of your life. Put yourself into their hands and let them turn you into a lean, mean machine that is ready to conquer the world. A personal trainer has the experience to make your body fit and healthy. All you have to do is follow their instructions and the personalized plan that they have created just for you.